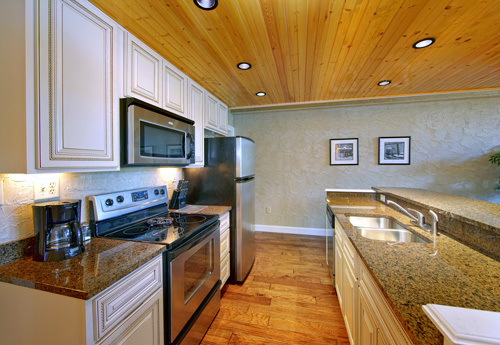 Cherokee Lodge is Pigeon Forge's newest condo development and offers large open floor plans. 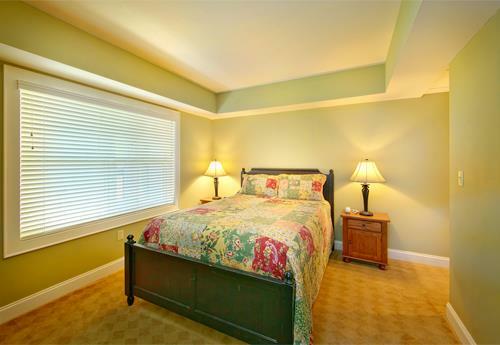 Units include granite countertops, galley kitchens, wood floors, whirlpool baths, gas fireplaces, and private balconies. 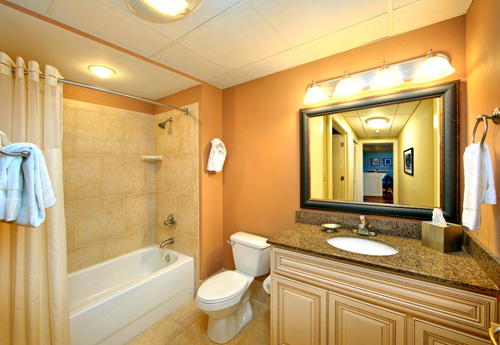 Enjoy the outdoor pool area with a twisting slide as well as the onsite fitness facility, free Internet access, barbeque grills, guest laundry, and meeting facilities. Close to Patriot Park and The Old Mill. Outdoor pool with slide and water features. 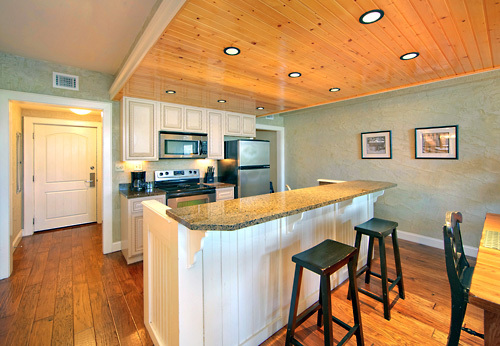 Luxury units feature granite counters and wood floors. 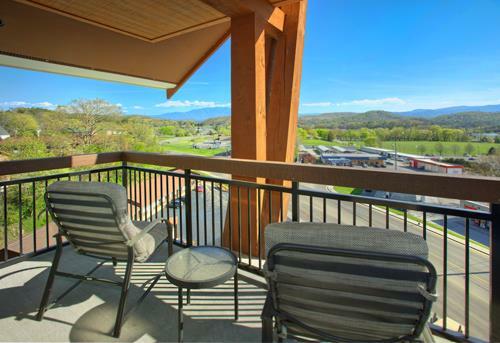 Cherokee Lodge is Pigeon Forge's newest condo development, and is designed for families on vacation! 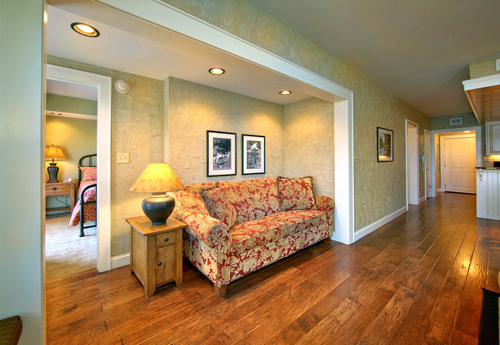 A large open floor plan is just the start. 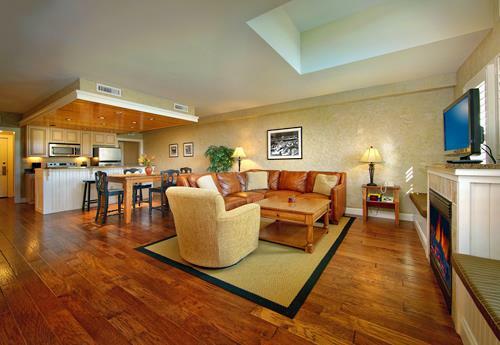 Granite countertops, galley kitchens, wood floors, whirlpool baths, gas fireplaces, and private balconies distinguish this unit design from all the others. 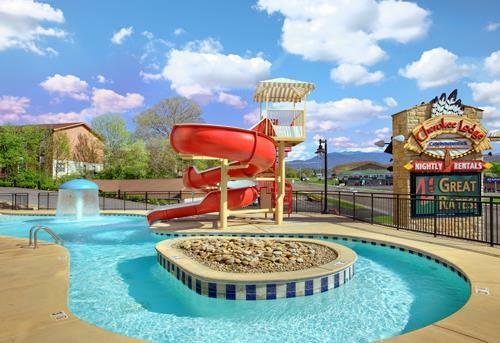 Enjoy our outdoor pool area with a twisting slide that keeps the kids happy for hours. We are located 1.5 miles from Dollywood, across the street from Patriot Park, and less than a mile from The Island and LeConte Event Center. 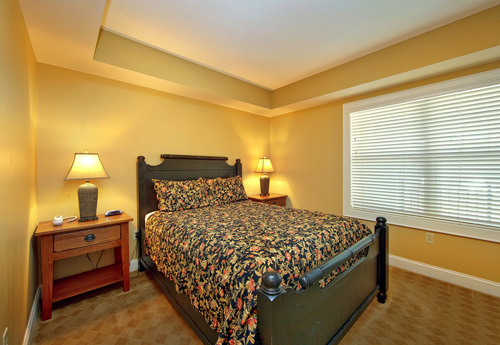 Cherokee Lodge is within walking distance of the Old Mill Village, and in the center of it all. 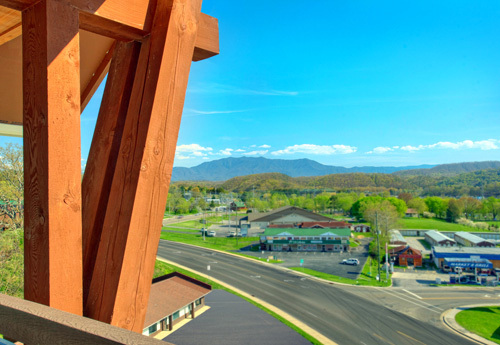 Being in the middle of Pigeon Forge means you are close to all there is to do and see here in the Smokies. The one time booking fee is collected upon check-in. 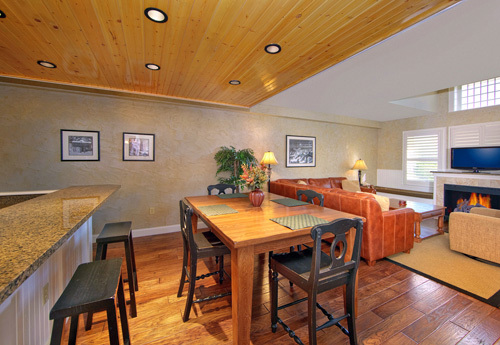 How many condominiums are available at the Cherokee Lodge? 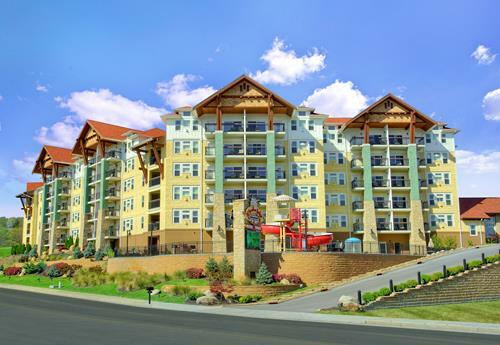 The Cherokee Lodge in Pigeon Forge has 40 units. The Cherokee Lodge has five floors. The Cherokee Lodge has one building. 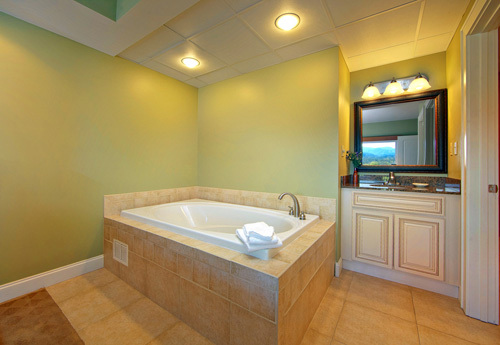 Adjoining rooms are not available at the Cherokee Lodge Pigeon Forge. The Cherokee Lodge does not have a restaurant or lounge located on property. 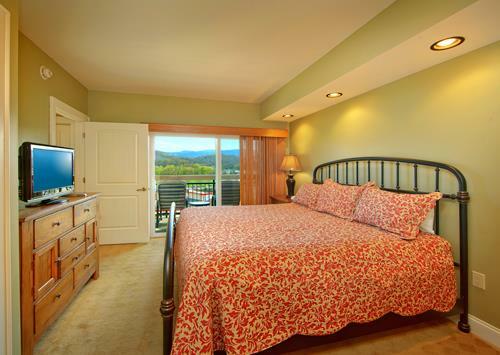 Guests must be at least 21 years of age to check-in at the Cherokee Lodge in Pigeon Forge. Does the Cherokee Lodge charge any resort fees? 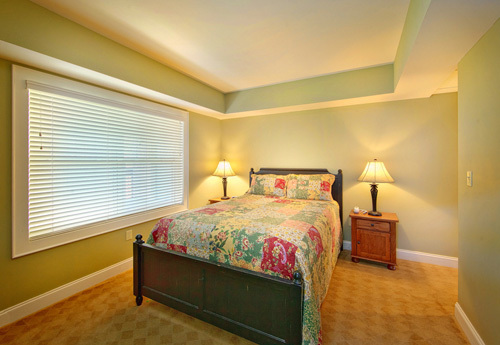 There is a one time booking fee of $35.00 charged to guests upon arrival. The Cherokee Lodge pool is open from 9am – 10pm. Yes, guests may check-in at any time. Is the Cherokee Lodge located on a trolley stop? No, but they are located right across the street from the central trolley station in Pigeon Forge.